Statement of Diane Felicio, interim executive director of the Community Catalyst Action Fund, regarding the 2018 election results. 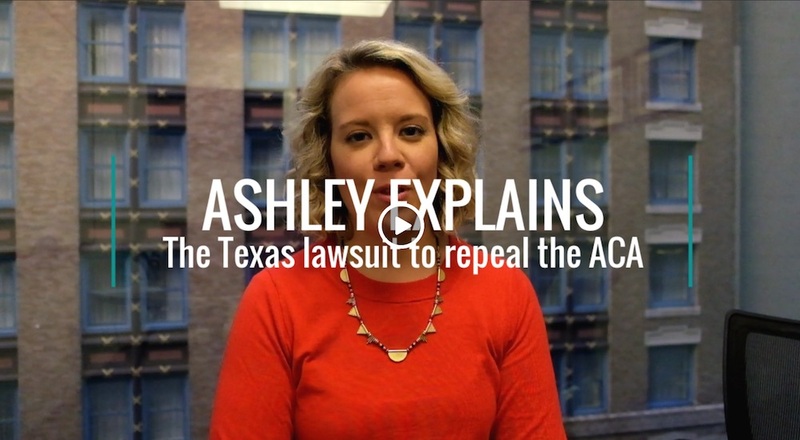 Our senior policy analyst, Ashley Blackburn, explains the Texas lawsuit filed by 20 Republican-led states threatens key provisions of the ACA, including protections for pre-existing conditions for millions of consumers in our latest video. Take action to protect people with pre-existing conditions! Take action to hold your senators accountable for their votes on Brett Kavanaugh's confirmation to the Supreme Court.